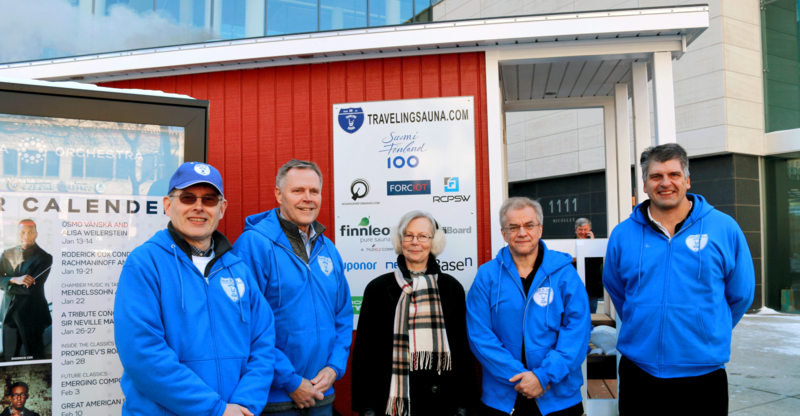 December 6th, 2017 marks 100 years of Finnish independence, and to help celebrate Finnish indepence, Finnleo and TravelingSauna.com have worked to bring Finnish culture together with the freedom and independence associated with touring the open roads of the United States. Keith Raisanen, President of Finnleo, and Jouko Sipila of Traveling Sauna discuss the project, how it came together, and the upcoming launch from the Finnleo factory in Cokato, MN on January 11th and the official launch from Orchestra Hall in Minneapolis on January 14th. Starting with a trailer, the following slideshow shows the progress of the construction, though the final touches will be revealed at the launch from Cokato on January 11th, 2017. If you are in the Minneapolis area and would like to attend the factory launch from Cokato on January 11th, come to the factory at 2 PM. For the official launch from Orchestra Hall, hosted by the Finnish Ambassador to the United States, Kirsti Kauppi, and Maestro Osmo Vanska, Director of Music of the Minnesota Orchestra, register to attend via Eventbrite.